If you are looking for property to rent for business or for living in Edinburgh, Dalkeith or Midlothian, give David Love Property a call, we are a letting agency with a good portfolio of properties that are well kept, reasonably priced and are in popular locations. Our pride is vested in quality for all. 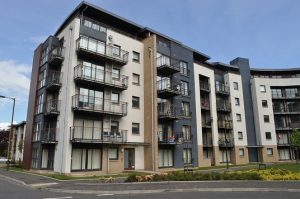 We have a number of properties to let in Edinburgh, Midlothian, Fife & Aberdeenshire. We are one of the Edinburgh and Dalkeith’s leading letting agents and for this reason, we are confident and we ask you to visit us today in one of our offices so that we can take you round to view our available properties to let for you to choose from our long list. We only deal with well managed, maintained and up-to-date repaired properties that meet our customer’s preferences. A well-maintained home, both outside and the inside in Edinburgh and Dalkeith we take on houses for rent that have been well kept, don’t have major faults or issues, and we guarantee maintenance & repairs whenever the need arises. For us it’s all about satisfaction of both tenants and landlords in Edinburgh and Dalkeith. All of our properties are well kept and maintained; once we have a home or a business premise to let we asses it and then do the necessary repairs and maintenance before we let you in. They are secure and always have a good security system as per the request of our clients. If you are in Edinburgh and Dalkeith you won’t regret choosing a property under our management. We have emergency repair services available on standby 24 / 7. So if anything goes wrong in your property our dedicated crew is here to assist in a timely manner. Why not give David Love Property a call today or call into our office and see how we can help you to rent a property of your dreams.